Not only will replacing all of your windows at once save you the headache of having to choose windows twice, but you’ll also save on installation costs. In most cases, contractors charge you for installation based on the amount of work they and their crew have to do. If you separate the jobs, you’ll most likely increase the cost of your installation by as much as 50%. Everyone wants to save a bit of money on their installation work. However, if you choose the lowest bidder, you may find yourself paying more in the long run. A low bid often means that the contractor is inexperienced for the job. Shoddy window installation can often completely offset the effect that a window’s build and options have, meaning that you’re losing the money you initially thought you’d be saving. The middle-of-the-road contractors are often the best bet for your buck. 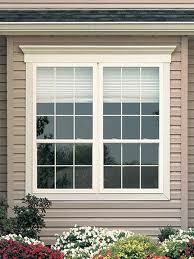 We can’t stress enough how important it is that you have references for the contractor that installs your Denver windows. Three references that you can call or email is usually more than sufficient, and you’ll find that people are more than willing to talk about their window installation job whether they’re happy about it or not.